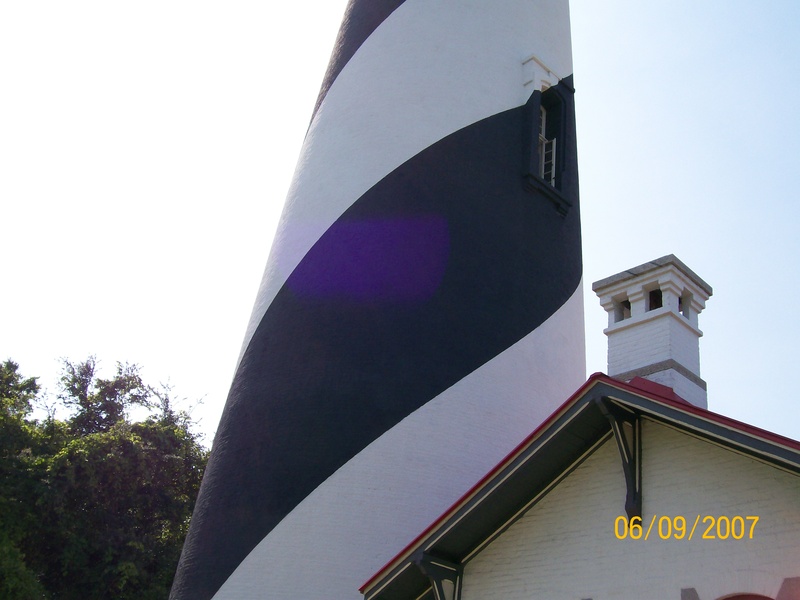 We conducted a day time investigation of the St. Augustine Lighthouse on June 9, 2007. Investigators present Sherri, Mike, Shereen, Jenny, Lynn, Mac and Erin. Over the years many people have died on this site, which may account for the multitude of stories about ghostly encounters and or sightings here. 1. 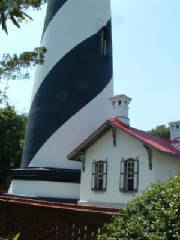 John Carrera died in 1853 at the first lighthouse. 2. Joseph Andreu fell from the first lighthouse and died in 1859. 3. Head Keepers Rantia's wife died here on Sept. 21, 1894. At this time the cause of death is unknown. 4. 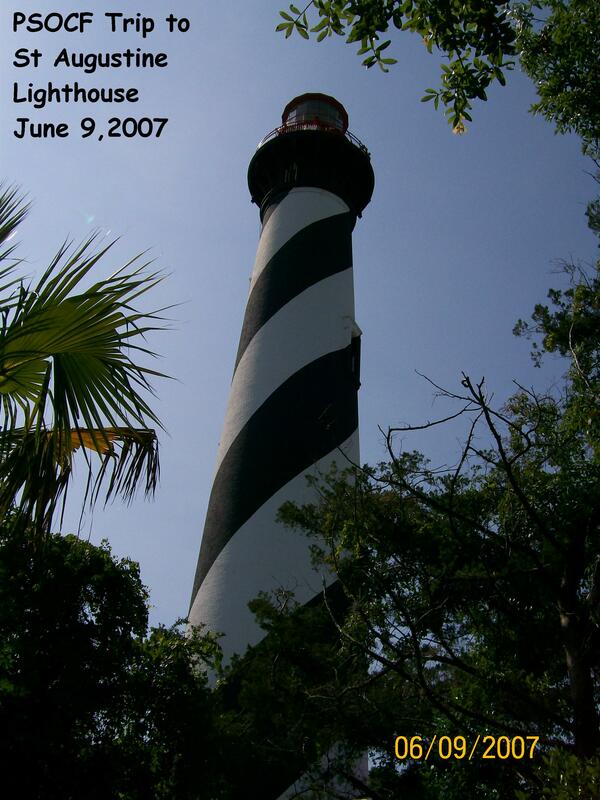 Three young girls died during the construction of the lighthouse. The superintendent of construction, Hezekiah Pittee, had five children who used to ride a rail car type vehicle that was used to transport supplies from the beach to the house. On July 10, there was an accident and five children fell into the water. Workers were able to save a boy and one girl, but two daughters Mary and Eliza along with a young black girl, either a servant or the daughter of a worker drowned. 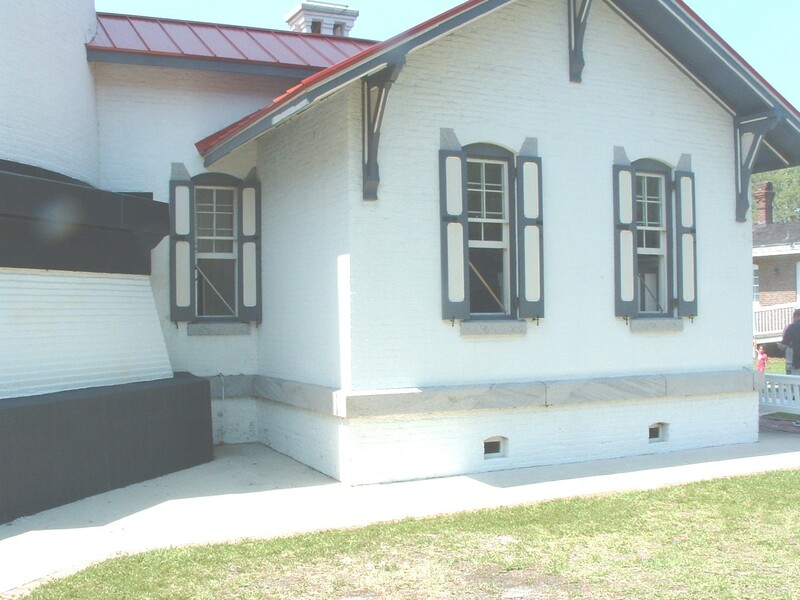 The lighthouse keepers home was difficult to get a baseline EMF reading in since it is full of lighted displays and cases that gave off varied different EMF readings. We determined that we could not use any of our readings in this house since we could not get a baseline. Orb on the side of the lighthouse. 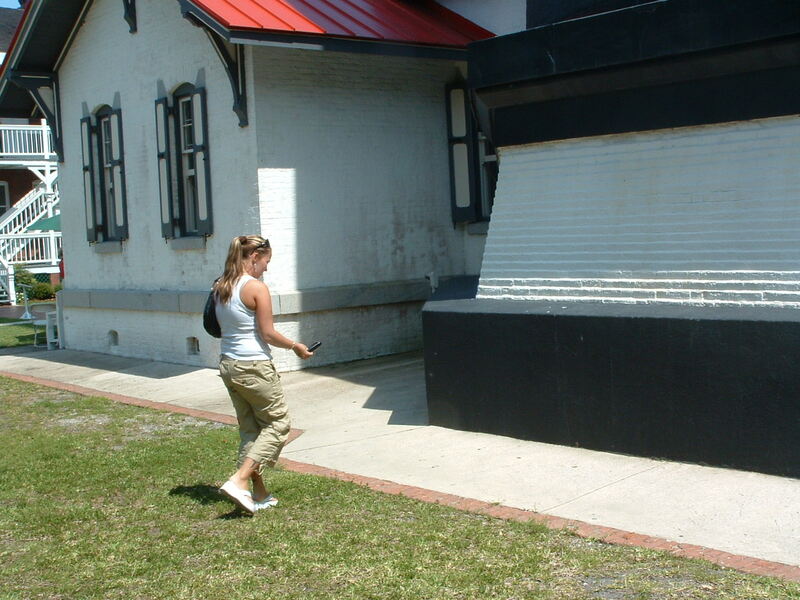 Jen taking EMF readings outside of the lighthouse. 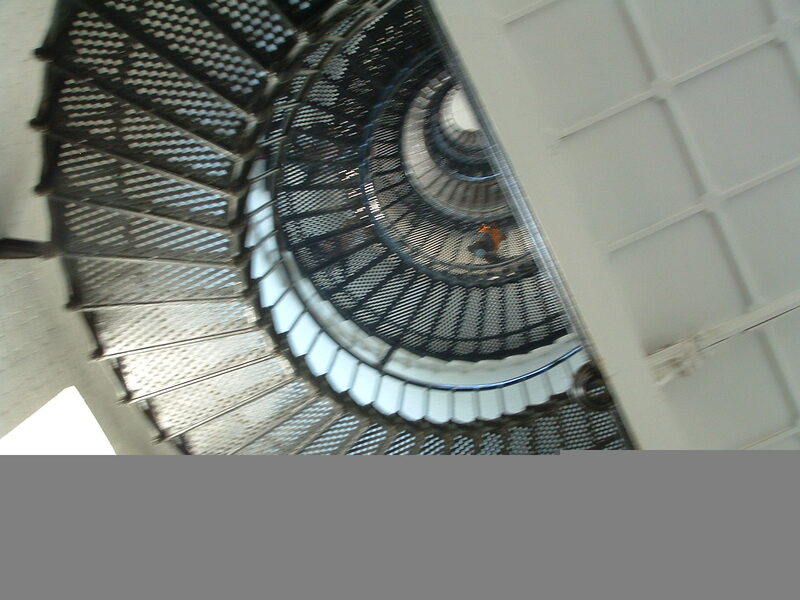 Looking up the stairwell of the lighthouse. 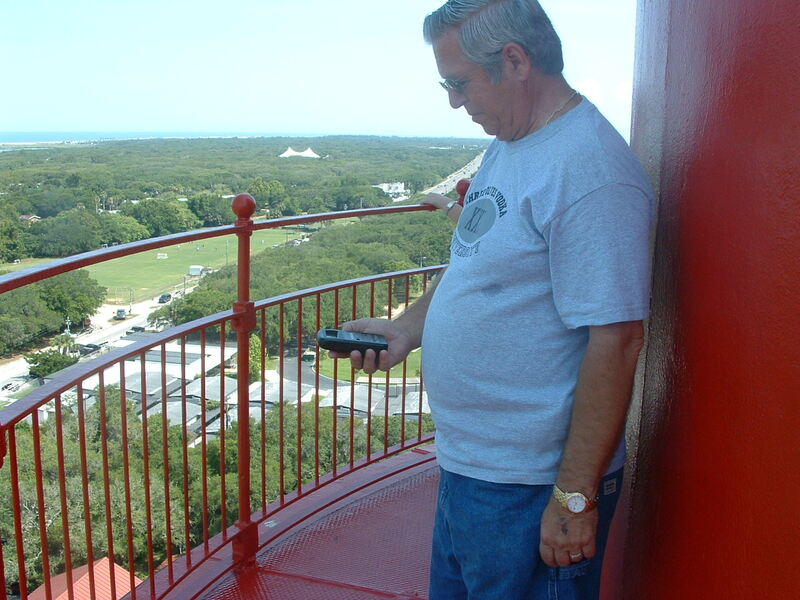 Mac taking EMF readings at top of lighthouse. 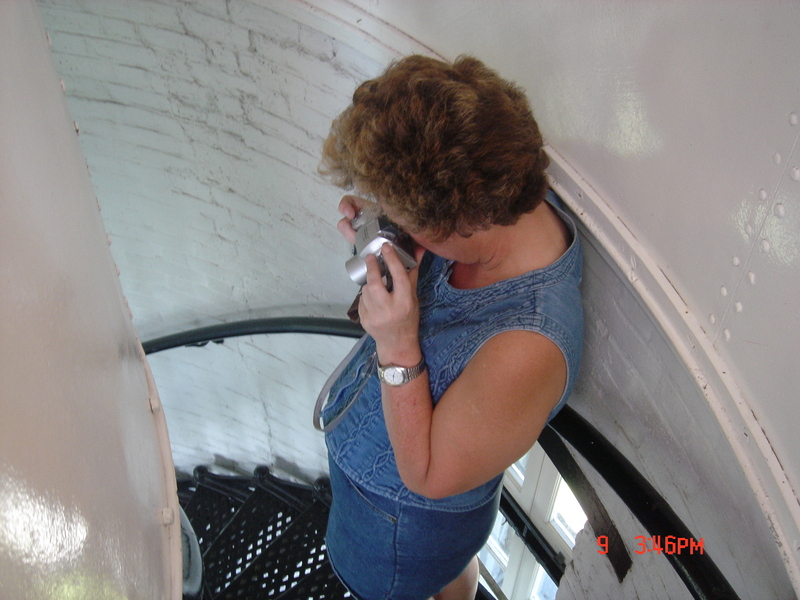 Shereen at the top of the lighthouse tower. Lynn and Erin on the ground floor of lighthouse. After reviewing our photographic evidence we found two pictures of interest. Both of these pictures are of the lower floor in the lighthouse tower and show some kind of mist like shapes. 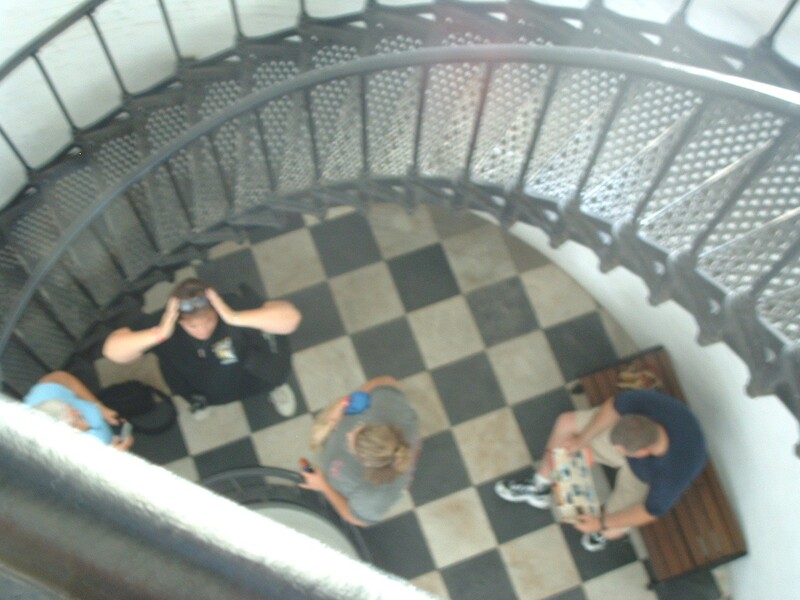 The first one was taken as I was coming up to the stair case, and is of Lynn and Erin starting the investigation. The second picture, with the red mist, was taken from the second flight landing. We had stopped because of an increase in EMF readings and I looked down and took this picture of Sherri and Erin. What do you think of these mist like shapes? Email and let us know what you think they are. Erin in the basement of the lighthouse home. One of two storage bins in the basement of house. Lynn and Mac taking readings in the basement. Front of the lighthouse keepers home.